What is most interesting is the wheeling and dealing that occurred right out of the gate. After the Cleveland Browns selected Myles Garrett at #1, the Chicago Bears traded their #3 pick for the Niners’ #2 pick, as well as for pick 67 in Round 3 and pick 111 in Round 4. On top of that, the Niners received a 2018 third-round pick. Interestingly, the Browns selected Mitch Trubisky, quarterback from North Carolina, leaving Solomon Thomas, DT from Stanford, as the #3 pick for the Niners! 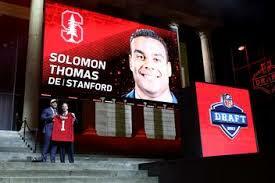 Solomon Thomas was who they wanted to begin with, so the Niners started off the draft with a bang and a steal! 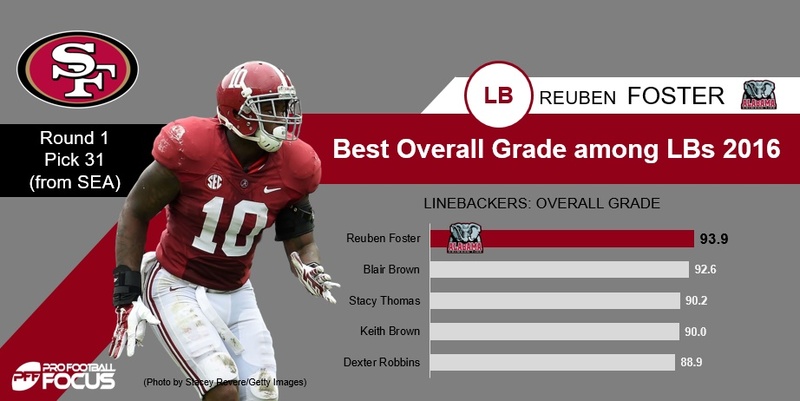 Shortly thereafter, the Niners traded their 34th pick (Round 2) and their 111th pick that they just acquired, to Seattle, in order to draft arguably the best LB in the draft in Alabama’s Reuben Foster. When the smoke had cleared, the Niners had just drafted two of the top 3 players on their board. Remarkable! Can’t wait for the season to start – go Niners! This entry was posted in Football on April 29, 2017 by BronsonQuon. 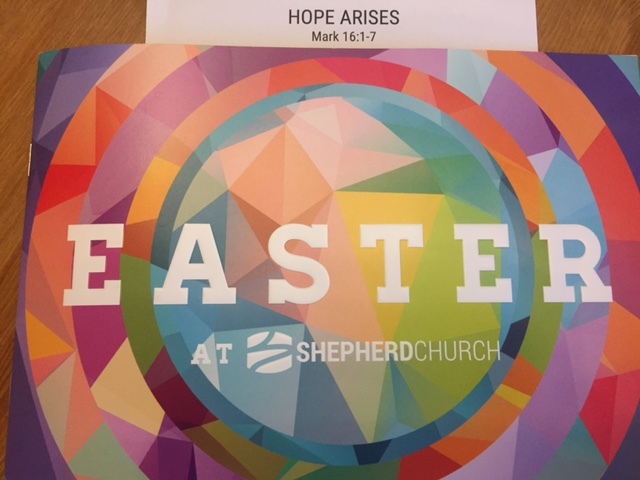 “Hope Arises” was the name and topic of this past Sunday’s sermon at Shepherd Church in Porter Ranch, as we celebrated Easter, the resurrection of Jesus Christ, our Lord and savior, who sacrificed his life so that are sins could be forgiven. Many things seem impossible in the midst of chaos and in many respects, they really are. Whether one is dealing with a broken marriage, infidelity, financial or legal troubles, disease or sickness, there is one thing that has withstood the test of time — and that is hope. While every man dies because of father time, those who believe that God raised Jesus Christ from the dead will live eternal life. How do we know this? Because, the resurrection proves this, and it says so in the bible. This tells us that with God, “all things are possible”. Pastor Dudley tells us that God specializes in the impossible. All he asks us is to Confess and Repent, Believe in Him and through baptism, we may live a new life. Our past will be forgiven and our future will be secured. Isn’t that something — that is hope and salvation in its purest form. This entry was posted in Blog on April 19, 2017 by BronsonQuon.